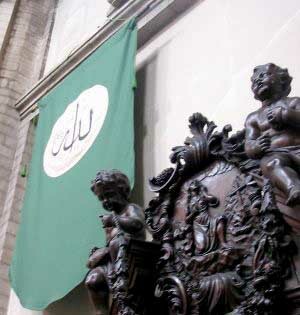 A UPI report says that the Vatican is backing the Islamic takeover of Catholic Churches by illegal aliens across Belgium to protest that country’s immigration policy (“Vatican supports Belgium church sit-ins, Brussels Journal online, May 10, 2006). The Pope's support for this blasphemy was called a "positive signal" by Hans Geybels, secretary for the Belgian Cardinal. It certainly is a sign. It is a signal that the level of apostasy foretold by Fatima has reached the highest levels of the Church Hierarchy beyond a shadow of doubt! It is incredible that, if this report is true, political expediency trumps the blasphemy of the desecration of Catholic churches in the eyes of Benedict XVI. Is the supernatural no longer a priority for the Catholic Church? Illegal immigrants say Belgium's policy is discriminatory and are demanding residency. Belgium’s interior minister has said the illegals immigrants claims of discrimination and demands for residency are unfounded, since many haven't followed the bureaucratic process or have already been denied residency. It would seem, therefore that this sacrilege has nothing to do with providing a refuge for Islamic immigrants, but rather facilitating their take-over of Catholic holy places! Certainly, the Belgium government could find other places of "refuge" for those who would destroy their cultural heritage and Christendom itself in the process, if that is their political death-wish. The Church of the Minims in Brussels, at left, being turned into a mosque with the approval of the Vatican. Catholic relief organization provide computers, at right. 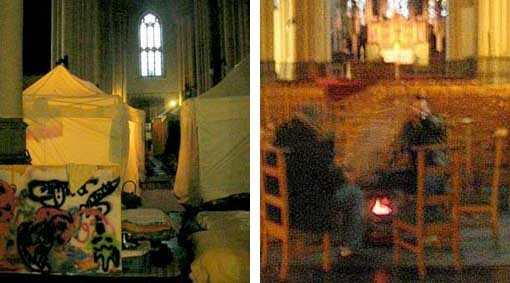 At left, tent cities are being set up in the churches. 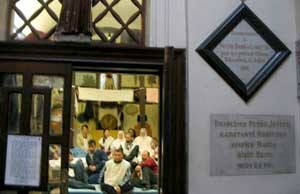 At right, two Muslim squatters light a fire inside the church. The squatters are living in the churches.